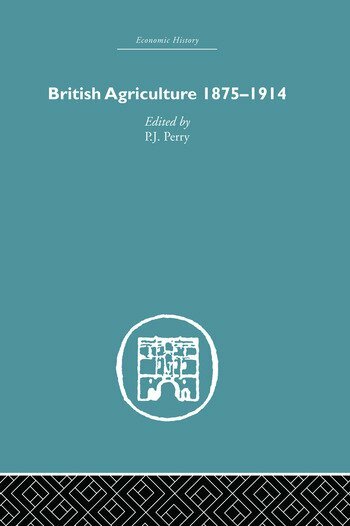 Profound Changes took place in British Agriculture between 1875 and 1914. After the prosperous years of the mid-nineteenth century came a period of difficulty for landowners and farmers, with falling prices, lower rents and untenanted farms. Previously attributed to bad seasons and increased food imports, this book questions whether the unexpected depression was rather the evolutionary upheaval of a system forced reluctantly into change. Undoubtedly there was a crisis, in these decades farming ceased to be Britain's major industry; no longer able to supply all her own food, the country came to depend increasingly upon imports. Methods changed, cereal production yielding pre-eminence to pastoral farming. In recent years scholars have challenged traditional interpretations of the crisis, seeking a wider range of causes, characteristics and consequences. It has come to be seen as a phenomenon of change as much as of decay. This book brings together different views of the depression, ranging from contemporary evaluations to recent regional and econometric studies which stress its spatial and developmental character. Originally published in 1973, these eight contributions provide a survey of changing approaches to one of the major economic crises in modern history.